Climate change is a truly global issue, one that affects us all in different ways. Although Latin America contributes just 4% of global greenhouse gas admissions, it has been forced to bear the brunt of their effects, from droughts to hurricanes. Yet in spite of this unfair situation, the region is confronting climate change with a dynamism and innovation that puts richer countries to shame. 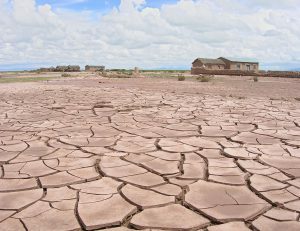 172 of Bolivia’s 339 municipalities have declared their own states of emergency, due to the country’s worst drought in 25 years. Photo by OIKOS. One of the most visible threats posed by our warming climate is the changing patterns of rainfall and waterways. 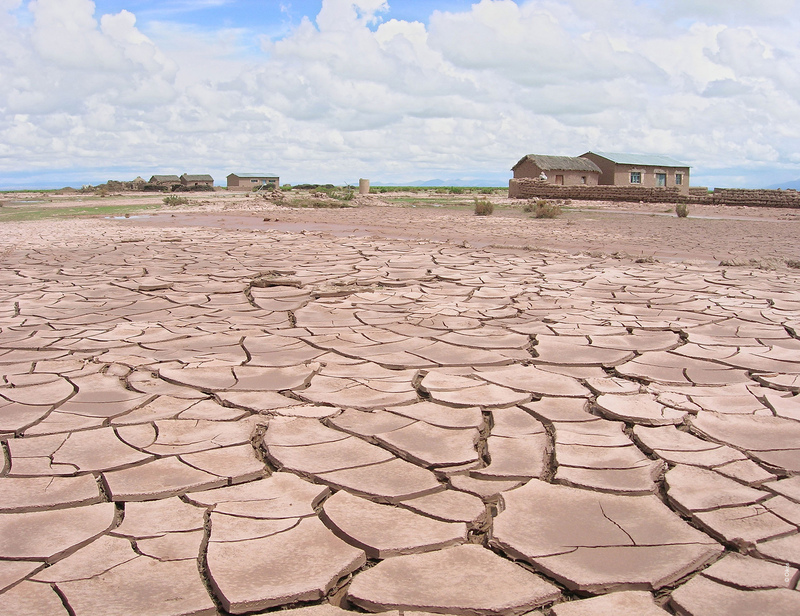 Drought is a major concern that has been plaguing Latin America in recent years, emerging in the Amazon in 2005 and 2010, in southern Brazil from 2012 to 2015, and the current state of emergency in Bolivia. The results have been dire – decimated crops, water-rationing, increasing desertification, and worrying signs of dieback of the Amazon rainforest. These trends are exacerbated by the loss of glaciers, which many communities depend upon as seasonal sources of water. In fact, estimates suggest that tropical glaciers have decreased by as much as 90% in recent years. Climate change has also led to an increase in extreme weather events throughout Latin America. 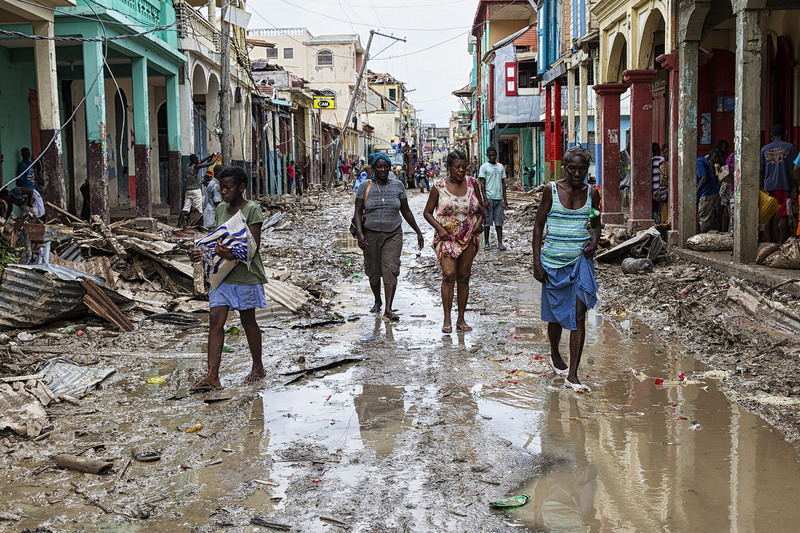 Hurricanes have increased in both frequency and intensity, leading to thousands of fatalities, an even greater number of displacements, and taking a huge economic toll on the region. In 2016 alone, over 12.5 million people were affected by natural disasters, and if current trends continue, that number is likely to increase. Sea level rise is another serious concern, particularly in coastal cities like Rio de Janeiro and Barranquilla. This could have very serious consequences for Latin Americans by contaminating fresh water, eroding shorelines, flooding low-lying areas, and increasing the risk of storm surges. Warming seas and oceans would also have devastating effects on fishing throughout the region, but particularly in the reefs of the Carribbean, lowering yields by up to 50% and destroying the region’s natural heritage. 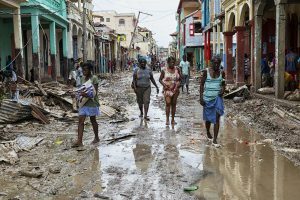 Hurricane Matthew devastated the Caribbean region in 2016, with Haiti being the worst-hit. Photo by Logan Abassi. Yet Latin America is something of a world leader in climate change action. Some of this is a result of its own geography – it is the most bio-diverse region in the world, has the largest freshwater reserves, and is home to the Amazon – the world’s largest carbon sink. Still, many Latin American countries have made important steps forward, such as preserving more forests and producing more clean energy than any other region. Countries like Chile, Ecuador and Costa Rica are recognised worldwide for their commitment to conservation, renewable energy, and sustainability. LASC has been a key supporter of these initiatives, and of the movements that drive them. Throughout our history we have facilitated countless debates and discussions relating to the environment, and have hosted many speakers at the forefront of these campaigns. Climate change is a serious concern for all of us, and it is an issue that informs many areas of our environmental work, including water and food sovereignty.